The UK independent television sector is making an even greater commitment to diversity on and off the screen with new companies signing up to a ground-breaking training scheme. The Indie Diversity Scheme was launched in January 2013. 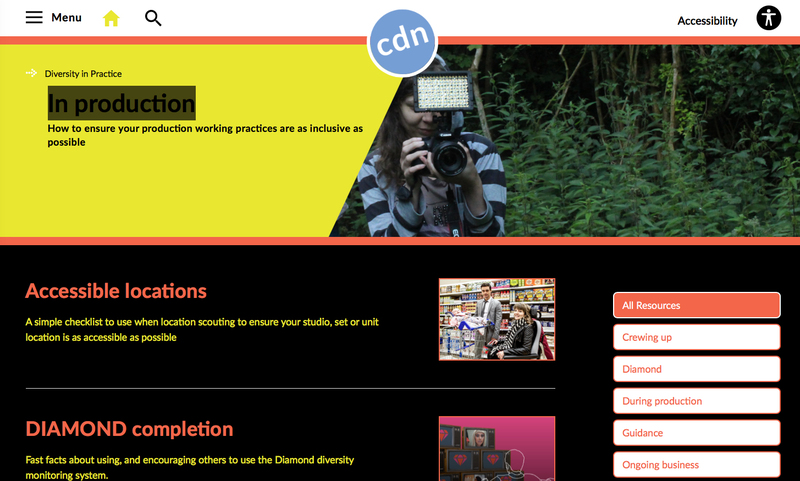 Supported by Creative Access, it aims to connect independent production companies with people from under-represented groups. Companies offer a paid six-month internship, giving the hopefuls hands-on experience in areas in a variety of production areas, including social media and second screens, artistic and literary copyright, camera operation, music copyright, storytelling and scriptwriting across platforms, and the freelancing business. The companies involved are: All3Media; Endemol; FremantleMedia; Hat Trick; Keo Films; Shed Media; Shine Group; Tiger Aspect Productions; Tigerlily Productions, and Zodiak Media. Sophie Duker spent her internship with Hat Trick Productions, starting out as a runner on a comedy pilot for BBC3. Read more about Sophie’s story here. The Indie Diversity Scheme is now entering its second year. All seven companies who participated in the inaugural scheme are returning in 2014, with new independent production companies also getting on board. Maddy Allen, Head of Production at KEO films said signing up to the scheme was an easy decision. Bella Lambourne, Endemol’s Global Head of Human Resources, said the scheme had given her company access to diverse new talent. Pact and Creative Access have recruited new trainees for the scheme in 2014 and the industry hopefuls will begin their internships in January. Find out more about applying to future intakes of the scheme at Creative Access and for any queries please contact Joyce@pact.co.uk. Explore other training and development opportunities available across the industry on our Useful Links page, along with the wealth of case studies and examples in our Information Hub on Taking Action.